The message shows 'noscript' may include any element or XHTML tags. 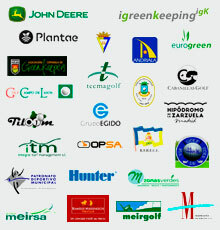 In Civil Turf profitability believe in economic, social and environmental development of our projects. Green Cities and Urban Agriculture. The SmartGreen City as part of a sustainable urban ecosystem. Agronomy predictive for increased profitability of farms. Conserve water and soil is the best investment for sustainable economic growth. We are an engineering and agronomic consulting projects company, specializing in the optimization of resources involved in agricultural systems, sports field surfaces and environmental systems. Civil Turf is focused on improving their productivity and profitability through feasibility studies that include innovation and development processes and management models.